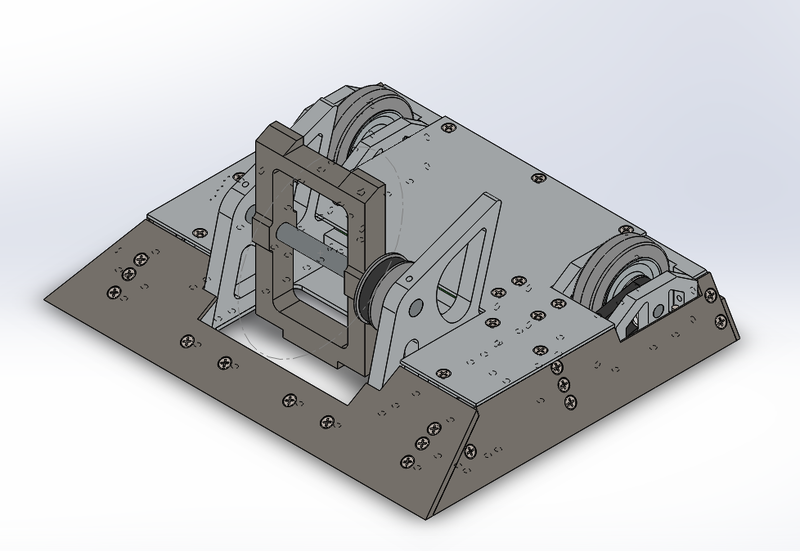 I've been working on a design for a 15 lb bot with a beater bar. I had one that I built this year, and while it works decently, it's definitely not durable enough. 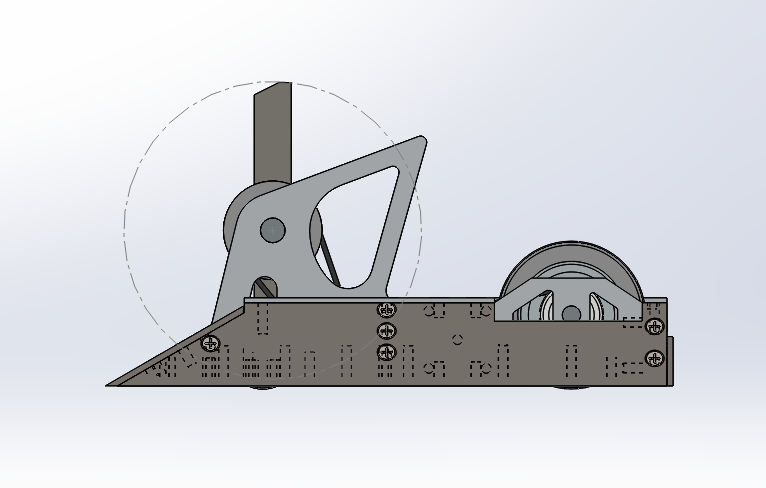 It also has significant issues with gyroing, so I intend to angle the sides outwards. 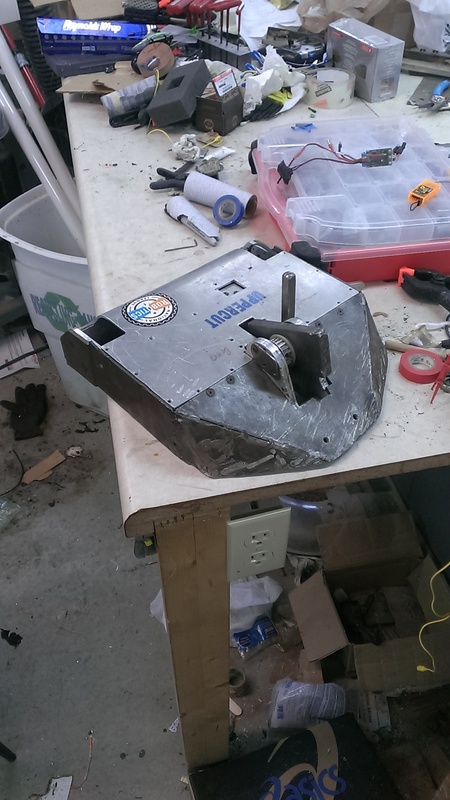 I was at the 2013 NRL nationals, but I spent most of the time repeatedly fixing our wedge bot (Fer 'Merica, if anyone remembers... ) because the driver was terrible. I had a new weapon EDM'd this year from a block of 1 3/8 inch thick D3, which was working well, but it's now damaged beyond the point of me wanting to use it. It was 4" tall and 2.75" wide, and spun at approximately really fast. However, I want to switch to a better design, which puts more weight at the outside and is effectively a single tooth weapon, as others have done. The new design has two versions so far, one made of multiple pieces and the other out of a single block of S7 steel. Multi piece, and yes, I did remove material at the bottom to balance the slots for the bolts that are visible on the top. Single piece. Both designs are nearly identical, except for the rounded edges on the single piece drum, and steeper tapering on the multi piece drum. 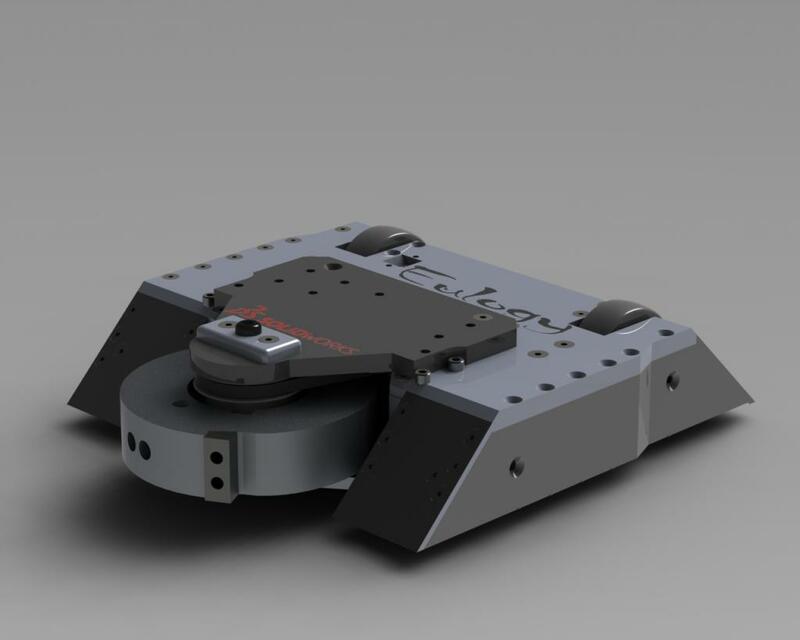 The single piece drum weighs 2.67 lbs, and the multi piece weighs 2.63, according to solidworks. The drums ride on two delrin bushings, pressed into the holes in the weapon, which are intended to be slightly larger than modeled, but which I haven't gotten around to adjusting yet. The pulley I used this year was smooth on the drum, and a normal timing pulley on the weapon motor. However, for this bot, I want to run timing pulleys on both the weapon and the weapon motor, using friction between the pulley, drum surface, and a washer with a thrust bearing holding it tightly pressed in between the weapon mounts on one side, and a stiff spring on the other to prevent it failing to be tight enough if it deforms at all. 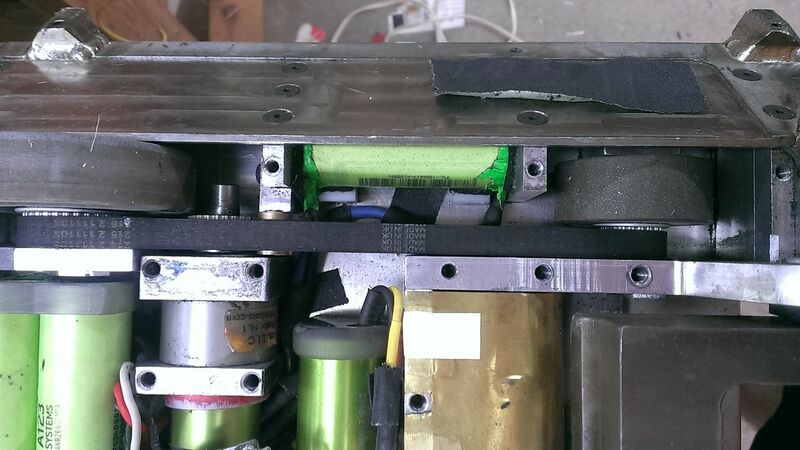 This should allow the weapon pulley to simply float on the shaft and transmit power through friction to the drum, but slip when hitting without stressing the belt much more than usual. I also need advice as to which weapon motor to use. I would prefer to use an outrunner similar to the one UC3/ Final Cut use, but slightly faster. That motor is the AXI 2826/10 gold line, but I would prefer a cheaper motor off of Hobbypartz or Hobbyking. I intend to use 4 A123 cells for power, and the motor I have on my current bot, while extremely powerful, draws far too much power and often drains the batteries in under 3 minutes, if run at full speed most of the match. It's a Neu 1905H/1.5Y that we had from previous bots people at my school have built, namely old versions of GTO and G6 (which competed at the 2013 NRL championship). As far as the drive system goes, I know which motors I am going to use, as I ran them this year and they performed perfectly. 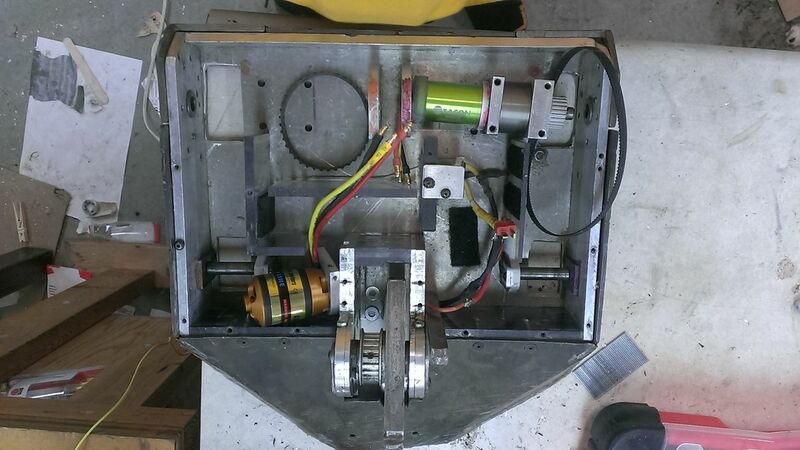 1800kv Tacon motors mounted to a 16:1 banebots gearbox, driven by a Tekin RS, however, I am debating between 4 3 inch Colson wheels, 2 3 inch wheels and two smaller ones for the front, or 2 3 inch wheels close to the center of gravity of the bot. For armor, I intend to use 1/8 inch thick steel on most of the front and sides, most likely a tool steel, but I have not yet determined what exactly would perform best. It needs to be reasonably tough at around 50-60 Rockwell C, to help prevent either shattering or being grabbed by a weapon. 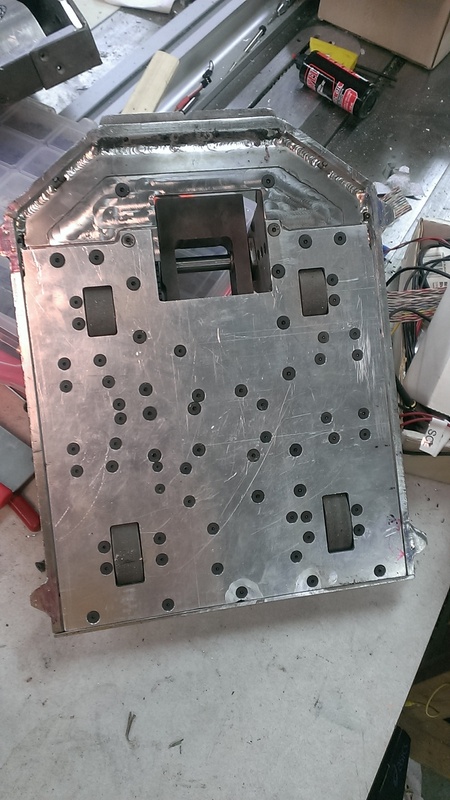 It will be sloped to place the bottom edge further away from the wheels, to combat gyroing (Currently, I can spin my drum up, turn, and flip entirely over, and in fact, in one match I actually did, but luckily continued flipping and landed back on my wheels.). To help the drum hit things, I will definitely need some form of wedge. GTO and G6 used what we called fingers- they were about 1/2 inch wide steel wedges, tapered from 1/2 inch thick out to the end over about 3 inches, and then loosely bolted to the frame to allow them to scrape the ground. If I go a similar route, I would likely put the as close to the weapon as possible, make them out of a hard steel, support them on both sides, and spring load them to combat bouncing, as well as adding some way to limit travel to prevent them getting into an unfortunate position. Another option is to add a wedge in front of the drum, similar to UC, but I don't like their slidey bits on front much. 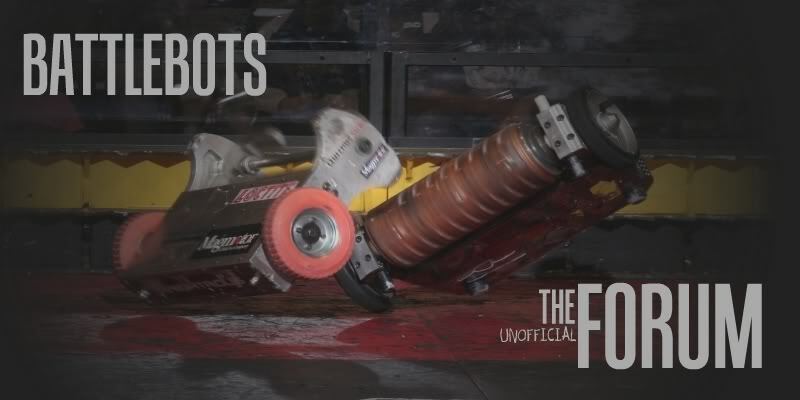 I did think up a better way to mount them, and the main advantage of this change would be in fighting wedges or Uppercut itself, as even without it's front sliders it can simply push up and under most drumbots without something in front and hit the bottom of the bot or the drum/beater itself. 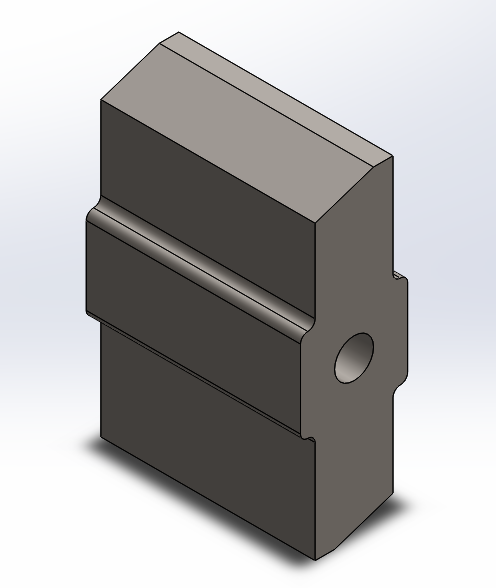 I was also considering a hinged steel wedge, 1/4 inch thick with most of the lower surface milled down to 1/8 of an inch, which would be just in front of the drum, and not off to the sides, but that seems an imperfect solution. 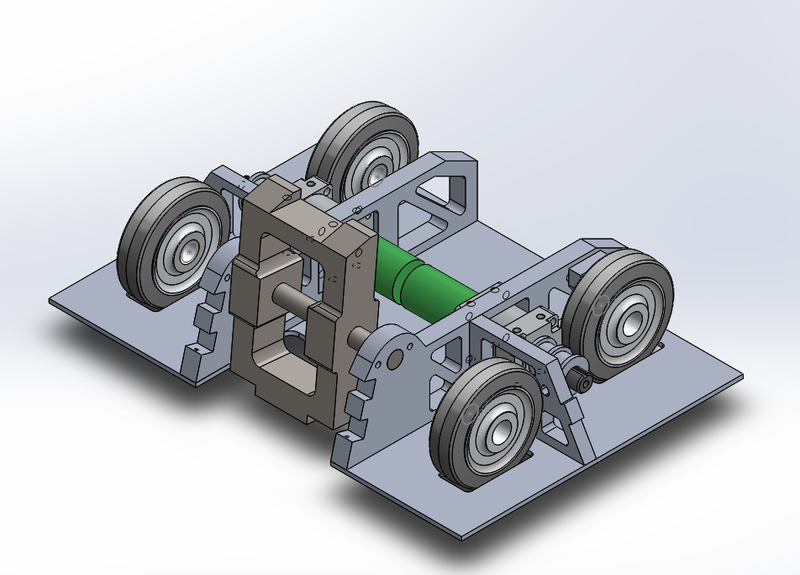 I also have one drive layout which uses an offset wheel configuration, and two belts to drive the wheels, which are all 3 inch Colsons. This allowed me to avoid some issues, but also cramped the space directly behind the weapon. I also do not know if the offset wheels would hurt handling, but I assume it would not. 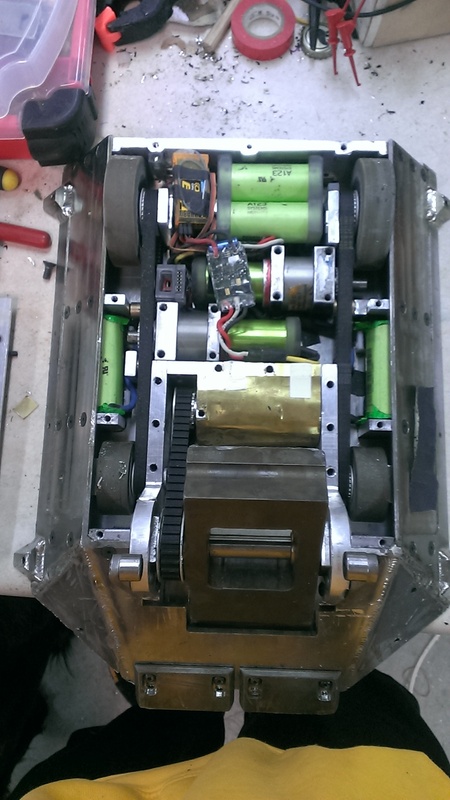 I am considering putting the weapon motor behind the drive motors, and running the belt over them. 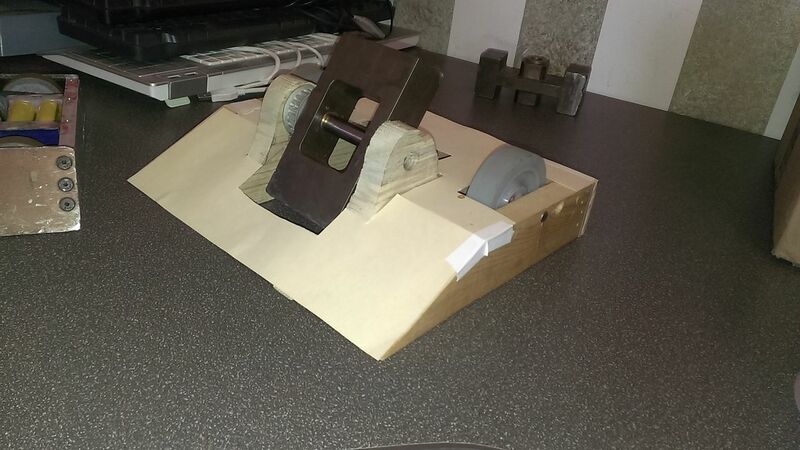 I am actually setting up my current bot with middle placed wheels and the belt over the motors, to test how it works. 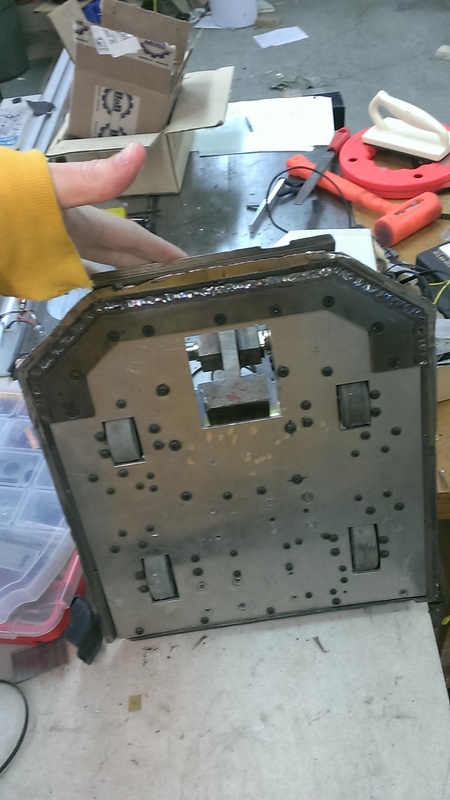 As you can see, the front of the weapon mounts is notched, where it would meet with some supports for the front armor plate, and the side armor support has a space for a square hole to rest, to help prevent shearing bolts. I can use any advice you guys can give, especially about the drive and weapon. I have access to a waterjet and an excellent set of CNC machinery I can get most of the more complicated geometry machined on, but make most things on manual machinery. 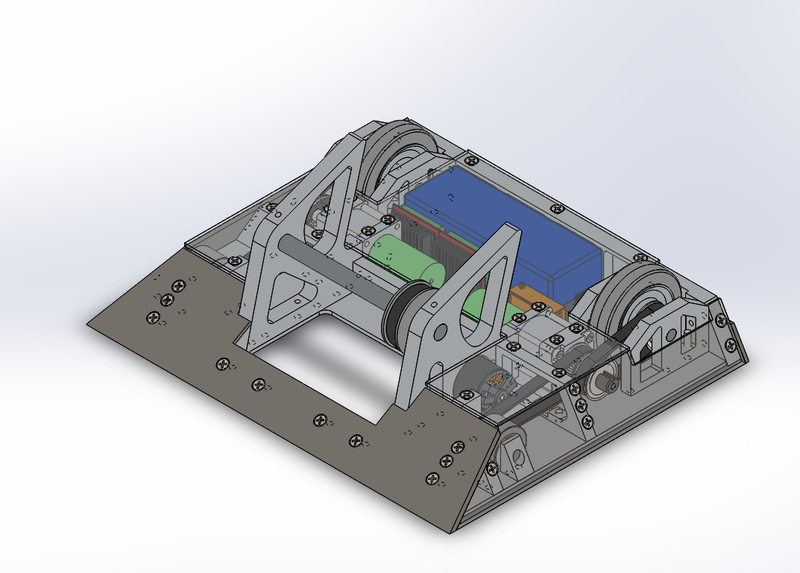 Oh, and the bot will have supports for running upside down, they just haven't been modeled yet. Hey this is the driver of uppercut, and I haven't checked this site in forever but I was looking over your design and would love to help where I can if you're still interested. Was also curious if proctor was going to make it to the Dunwoody competitions this year. But let me know if you're still looking for help. Cool! I've actually pretty much abandoned that exact design, although the weapon is similar, and we plan on going. 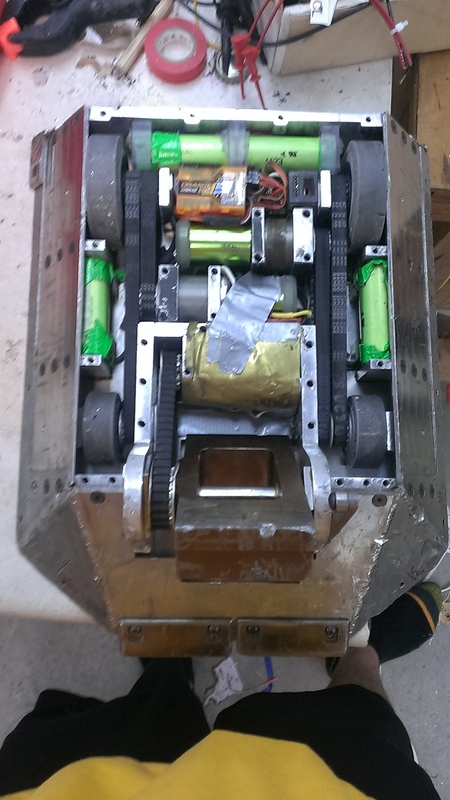 We've got the bot I'm working on, a friend's odd sideways drumbot, and a miniwedge multibot (I've had no input on those since I designed them, so I have no idea how well made they are), but I've been making good progress on my own bot. I've got pictures from a while ago just mocking it up, but I've been driving for about a week with no real issues. I don't have the weapon made, but that's gonna be done Friday, I think. Likely just mild steel unless I can get a hold of some decent steel on such short notice. The second picture is what I've currently finished making, although it's not quite as neat as I'd like. With the steel armor I'm using now and in this cad model, it has some issues balancing upside down, but with the planned titanium armor, the weight is further back, and it should work quite well. As is, I think the weapon will be sufficient to push it back onto the rear wheels while upside down if it does manage to balance. All the armor on UC is 1/8", right? The only pictures I've got are of the part towards the weapon mount on UC3, where it's milled to a flat top, so it's hard to tell. After this competition, I'm going to switch the tooth pitch on my wheel pulleys to a larger one, the fine pitch jumps more easily than I'd like under a lot of tension. 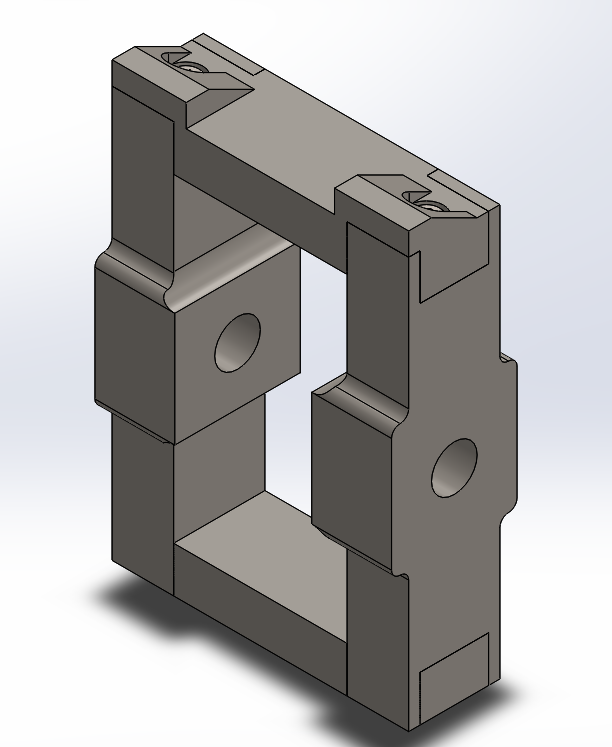 its actually 3/16 on the front but its thinned down to about an 1/8 on parts of the sides i can send you some cad models tomorrow if you would like . But what you have there looks really tough are you going to weld the shell together cause finding places to weld ti can be a little tough. Yeah, we will be. 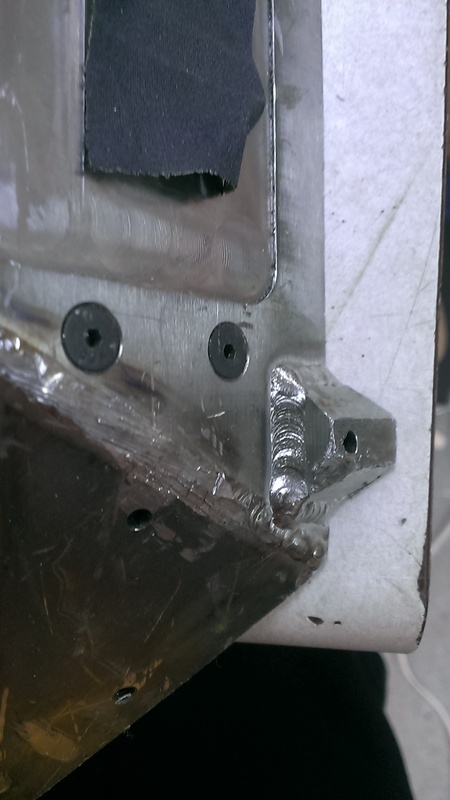 At the local college, they just got a brand new facility, and tons of new equipment, and they're willing to weld it for me if I provide the rod and some scrap pieces to practice on. They've got all the proper shielding equipment and the like, so I think it will work out fine. Oh, and I've got it planned for sliders on front like on UC, but I don't quite have the weight with the steel shell. Also, I picked up one of these with an orangeRX module, it works very well, and I've actually programmed a mix if I want to drive with one stick that I think works better than the one you guys are using on the DX6i. With yours, it doesn't actually change for parts of the stick movement because it goes over 100%, but the way it's set up on mine, it does, since it subtracts or adds to turn instead of using the elevon mixing that's designed for planes. I haven't messed with it much, but I like it so far. Is that gusseting I see under the side wedge there? And a dynamic wedge you're just taking all of our secret weapons haha; youre going to have one nasty bot and I cant wait to see it in action. And ill look into that transmitter the team was just talking about how we need another one for the weaponized multibot we are designing right now... well that is if it gets designed I have the 10 pound weaponized one figured out but i just cant get a 5 pound design that has any strength to it. Yup! Well, if you wouldn't design such a great bot, I wouldn't have to build something similar to beat it! 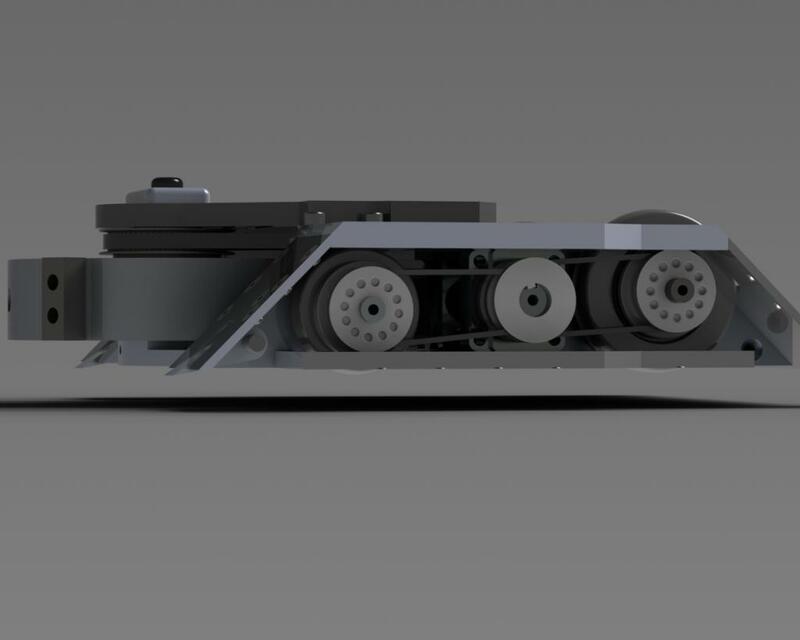 I wouldn't mind looking at that 5 pound bot, I've been working on some preliminary ideas for beetles, although I suppose the problem with a 5 pound multibot is the weapons it'll face in the 15 lb class. Most of those beetles use really thin armor and weapons, it kinda surprised me, actually. 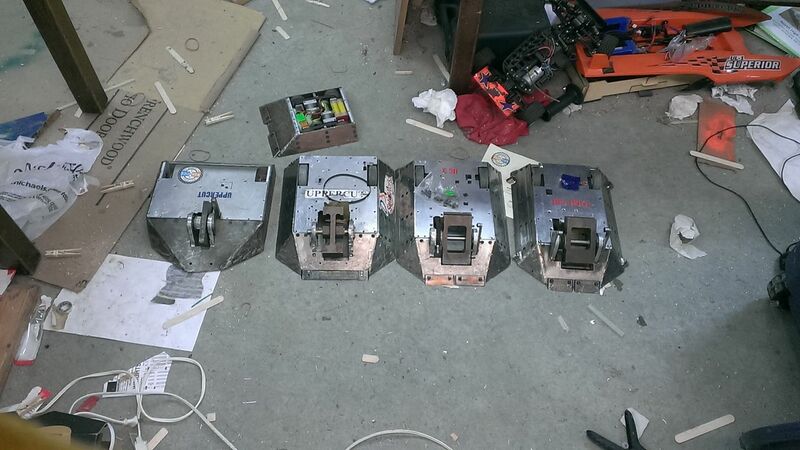 By the way, are you guys still looking for parts for those older banebots gearboxes? We have some used ones laying around, I just found them when I cleaned out the shop cabinets a few months ago. Probably 4 bodies, multiple carriers, a couple shafts, some gears and a bunch of the front and back plates. Also, do you have any pictures of the first and second versions of UC? I've only seen the third and the latest one, and one video of the second in a fight, and I'd really like to see how you've improved over them. Sorry it took me so long to reply but Fell asleep last night and had school stuff till now but without further ado the evolution of uppercut ! Believe it or not this hole bot was made on a drill press and welded in my uncles backyard but it was what got everything started though we had direct drive through the back wheel then we ran a belt up to the front one and had that puny 1.2 pound thing we called a weapon with a back cut on it because we thought it would help hook robots and a cow wedge design to help wedge in between the openings of vertical drums. We also used plastic all over the place because it was easy to work with and just bolted on pieces of steel all around it till it came up at about the right weight. Uppercut had its fair share of problems that we learned so much from so when we started uppercut 2 we came up with the solutions of angled sides , no direct drive, of course a wider heavier 2 pound weapon, and we completely rethought the drive system. 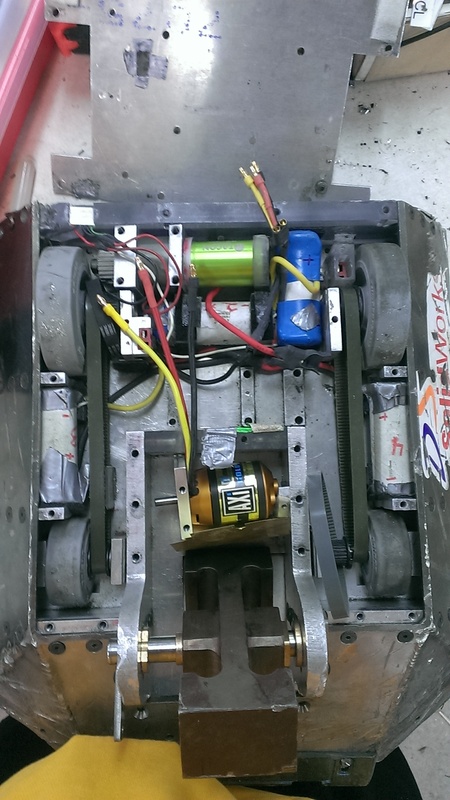 But just as we finished just about everything from the design aspect they had a rule change banning lipo batteries so we had to find a way for a 4 cell li-ion battery pack to fit and that's when we came up with the idea of splitting up the pack and hard wiring it into the bot. I wish it was still wired up so you could truly understand how jam packed this thing was with its had basically no open space at all wires and escs sat in between openings in the belts under batteries and bent around motors IT WAS AN ABSOLUTE NIGHTMARE but that's what happens when they make you change your design at the last minute. My weapon weighs about 2.2 lbs, but it's got a 6 inch diameter, so I think that'll make up for it, as far as energy goes. Thanks for all the pictures, helps a lot! Thanks! I'm super excited to see how she does, I really wanna fight rugburn. Ill admit though, I'm picking the weapon up tomorrow so I don't have much time to test things out but it should work. (fingers crossed ) Also if you need a quick angle or weight for something I have my laptop on me all day at school and I can PM you my number that way I can toss things around on cad for you to save you some work if you like, not sure how much cad experience or access you have but Lucas and I took a class for it in 10th grade on solidworks and are getting fairly good at brainstorming things up on it. 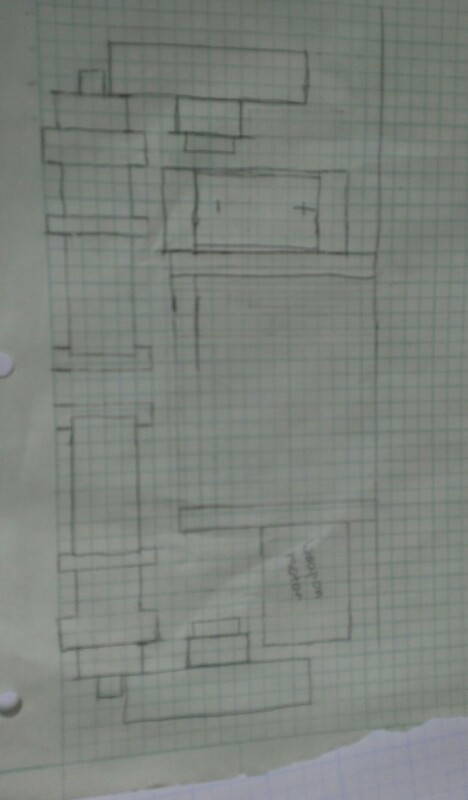 Apparently he threw you my cell number as well- That's fine, and yeah I can help with solidworks if you need it, especially if you have a good idea of dimensions and the like when you start. I've been having issues with the front two wheels drive belts, unfortunately, but hopefully some stuff I'm drawing up now will sort that out. 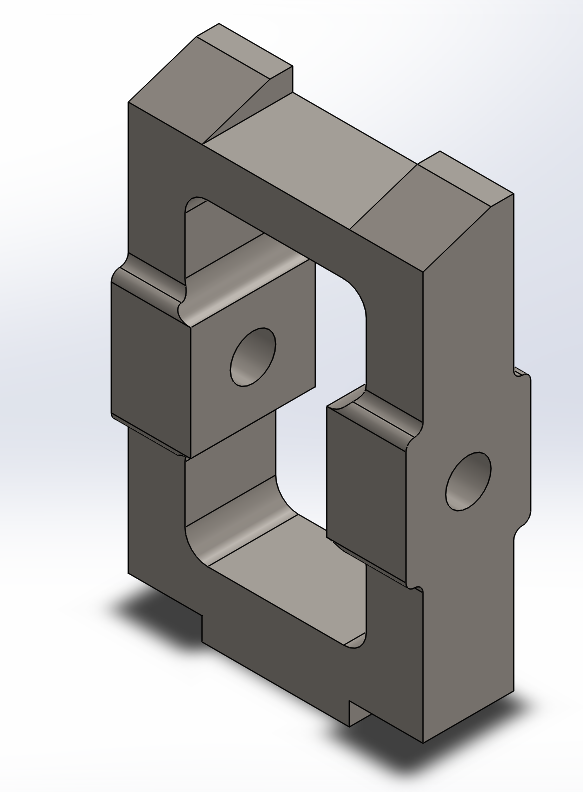 I really wish I had a bit more help machining stuff, but it is what it is. As long as I get the weapon working I'll be good to go regardless of those two wheels. By the way, if you want, I can calculate kinetic energy of your weapons for you- I just need solid files of them, and how fast they were spinning, should be interesting to see how much you've gained since that first bot! ... yessss ive tried so many times to do it but its never worked. Thats something that's ive always wanted to know But ill have to draw uc 1's weapon up that was just done free hand basically haha. Ill try to get you the drawings tomorrow but were in the middle of renewing our licence for solid works right now actually so i dont know if ill be able to actually draw uc 1's but i can get you finalcuts.